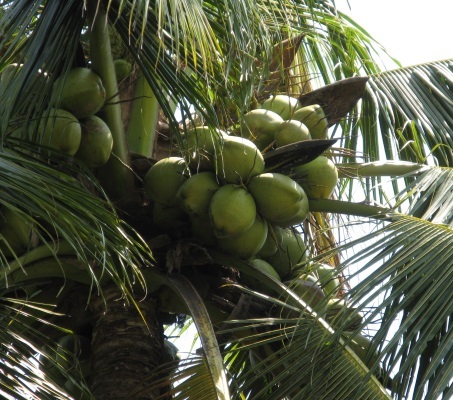 coconut (cocos nucifera) oil, the plant kernel or fruit of the coconut palm, commonly found in asia and south america. coconut oil is useful in skin treatments. benefit: because of its small molecular structure, the oil is easily absorbed and excellent in moisturizing, while protecting and promoting healing. the high level of lauric acid, capric acid and caprylic acid aids in preventing free-radical formation. with vitamin e and k, along with iron, it is also soothing, especially for treating sunburns and minor skin irritations and hair repair.